The 10 Most Unique (and Amazing) Restaurants in Wisconsin! The Safe House is a spy themed restaurant and bar located in Milwaukee. What makes this joint so unique is how hidden the restaurant has remained since its open in 1966. Once you’ve found the door you need to prove you aren’t a spy by giving up the password. This spy themed hideaway will be sure to keep you on your toes. Ishnala is a supper club located on Mirror Lake in the Dells. This old-time log cabin isn’t a well-known joint but is home to not only tasty food but spectacular views on Mirror Lake. Extend the date night and take a walk around their grounds. 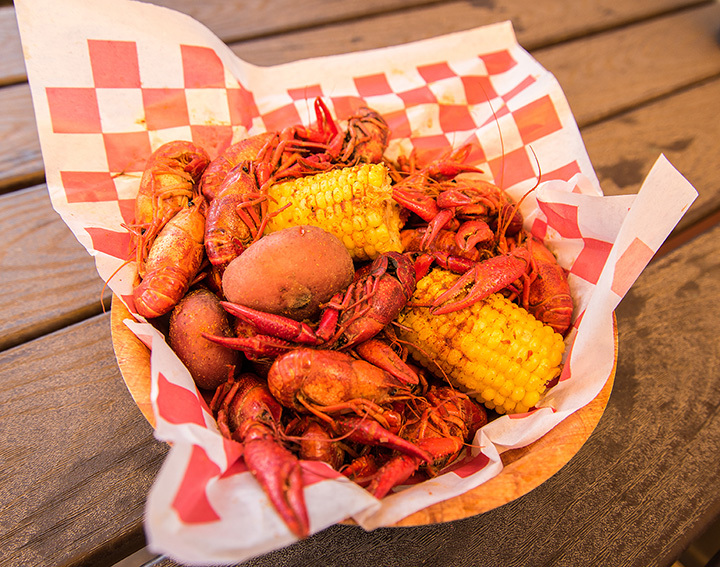 While its name recites crawfish—and they do have that—Crawfish Junction is famous for brining an alligator dish to Wisconsin. If you have a picky eater, they have a great Friday Night Fish Fry and a household staples of sandwiches on their menu. Beware: The place fills up quickly! Toby’s looks like an abandoned house if one didn’t know better. Located in Madison, Wisconsin, Toby’s is famous for its steaks, seafood, and key lime pie martini. They have been family owned and operated for over 40 years making them a seasoned competitor to other supper clubs in the area. McGregor’s Blink Bonnie Super Club is old cabin like structure immediately off Highway 70 in St. Germain, Wisconsin. This is the Northwoods’ best supper club delivering sizzling hot plates of steaks and seafood to its patrons. Be sure to call ahead because Blink Bonnies gets busy on the weekends. Sister Bay is home to the famous Al Johnson’s Swedish Restaurant. Feel the authenticity by surrounding yourself with the goats grazing the roofs of their traditional log-cabin eatery. Al Johnson’s is the go-to restaurant in the Door County area for genuine Swedish dishes. Sobelmans Pub and Grill has a couple locations in Milwaukee, Mequon and Waukesha, Wisconsin, as well. America’s Best Bloodies are fashioned right before your eyes—well, sort of. They aren’t your typically decorated Bloody Mary, patrons can enjoy an entire meal atop their tasty tomato drink. See for yourself! Freddy Valentine’s is a hidden gem located in Spring Green. Its Frank Lloyd Wright inspired interior and its old age 1915 constructed exterior makes it an interesting eatery aesthetically. Their foods are created with fresh and locally grown ingredients, which its regulars are most fond of. The Wonder Bar is a Madison favorite. Since its start in 1929, the Wonder Bar has been a place of interest for many public figures back in the day like Northside Chicago Mafia members and Al Capone himself. Passed from owner to owner since then, the Wonder Bar has remained excellent in steaks, seafood, cocktails, and customer service.